Welcome to Beach Rescue Buggy 3D - become a lifeguard in an amazing 3D adventure! Oh no! People are drowning and only your can save them! Drive your buggy and navigate the stunning Hawaii beach as you become the most heroic lifeguard to ever drive on the golden sands! Time is running out and your foot is on the pedal! Will you get there in time? When lives are at stake, it’s more important than ever before to put your driving skills to the test! This fun and addictive adventure will take you on a ride like none-other - set off on your buggy and arrive at the scene just in time - it’s up to you to keep everyone safe and sound on this beautiful day! This isn't a walk in the park, or a walk on the beach for that matter... it’s much more important. All of your training has come down to this: helping someone who is drowning - and every second counts! Play through more than 30 challenging levels in a race against time - drive your buggy in 3D and put your foot down... because people are relying on you to save them - so lets hope you know how to drive this thing! 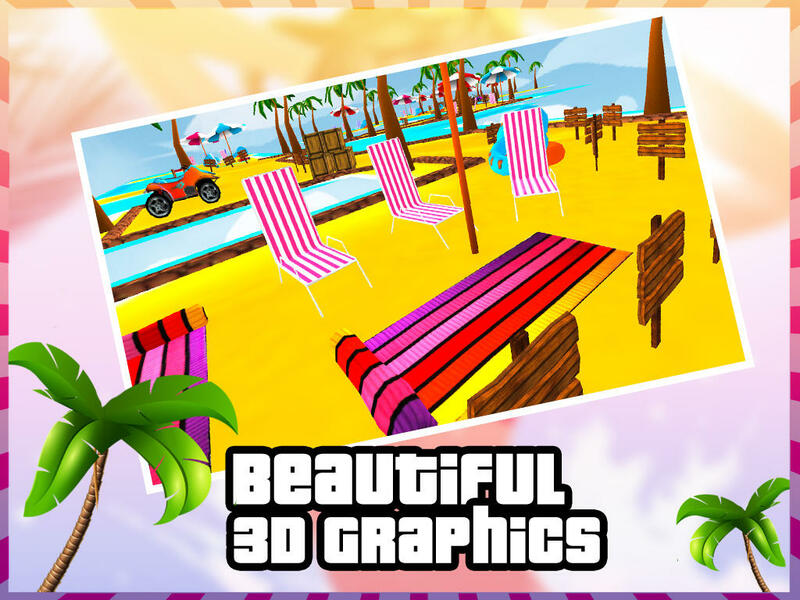 Beach Rescue Buggy 3D is unlike anything you have played before - it’s the perfect blend of excitement, fun and danger - all mixed together to form a game that everyone will enjoy playing! So, put on your sun cream, buckle up and put your foot on the pedal - it’s a race against time in Beach Rescue Buggy 3D! - 30 levels to play and 4 vehicles to drive! - Switch the camera view (2 modes). - Become a virtual lifeguard in this stunning 3D game!